Japanese chart figures are now in for 21st - 27th January, revealing that New Super Mario Bros. U Deluxe has now sold more than 300,000 units in the country alone. The game shifted another 57,725 copies this week, taking its total up to 312,869 and keeping it safely within the top three positions at retail. Kingdom Hearts III takes number one this week with a total of 610,077 retail copies being sold on PS4; the game only released digitally on Xbox One meaning sales were not tracked. Fitness Boxing's recent boom in popularity in Japan sees it return to the chart this week, snagging 17th position by selling another 4,130 copies. Any surprises this week? 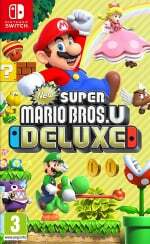 How well do you think Mario Bros. U Deluxe will do in the long run? Let us know in the comments. Was bound to happen, but good on Nintendo. Looks like Playstaion isn't done yet. It really is all about the games. They finally past the Switch for what might be their last week. Great late January week for PS4 with 2 great new releases.......but it still only out sold Switch by a couple hundred. I might root for Nintendo all I want, but my username ain't AlexSora89 for nothing, and KH's top spot is entirely deserved. The game is pure art from start to finish. I'm currently at the Toy Box world, and I'm still in awe at how I'm living the world of Toy Story with my own eyes and hands, with seamless transitions between cutscenes that look straight out of the movie and actual gameplay. Not even Super Mario 3D World, had it been the one ported instead of NSMBU, could have done much to change my mind. Maybe Maker, but "ifs don't make history", as the Italian saying goes. PS4 won! Sony always wins baby! Square is missing a giant opportunity by not porting the entire kingdom hearts collection to the switch. Maybe a surprise release with Sora as smash dlc? It is the first time after so many weeks that PS4 outsold Switch. Anyway, I hope Switch will do better in the future!! @Gerbwmu Tomorrow was the perfect day for the ND... until Piranha Plant released last night. They've been giving 48 hour notice a lot for NDs so tomorrow really doesn't look good now. Friday could still happen if they tell us in the next 3 hours after Reggie wakes up. I'm starting to wonder if they wait until early March to give Yoshi a big push? Then again every time they get a new President I wonder if NDs are done? Consistency is not their strong point, surprising people is. Would be nice to know about some 2019 games though after Yoshi. Especially with MP4 now a ways away they should assure us AC, FE and Pokémon are still 2019. And hopefully 1 or 2 more, though we may have to wait until E3 for those. And what's the next port? Mario? Zelda? There's always another port. So many PS4 comments... and no nasty replies. I wonder how long that can last? I am not surprised, the PS4 had now to killer releases that are not coming to the Nintendo Switch. With the rush to get Smash out before Christmas last year Nintendo got a nice HIGH, but from now on they really need to communicate to the fans about what to expect (in the near future) from Nintendo. Though this might be also good, if the PS4 is now again in for the competition, Nintendo has to improve which results in good things for the consumer. Honestly, I don’t think anyone here is surprised that Kingdom Hearts 3 was going to boost PS4 sales for the week in Japan. Kudos to Square Enix for the great game and kudos to Sony for a strong console - I give credit where credit is due. I am still undecided which system I am going to get KH3 - I have both a PS4 Pro and an Xbox One X.
KH3 is already a big success, I’m curious to see the legs on RE2. If there’s no big first or third party games coming to the Switch in February, I could see the PS4 and Switch competing with very close numbers for the entire month and into the next month with Yoshi, which will definitely boost the Switch pass the PS4 in Japan, as Yoshi appeals very heavily to the Japanese market. This might be heresy... but I'm not that worked up about Kingdom Hearts III. The series has gotten so convoluted in terms of story, that it seems like you need a university course just to understand everything going on in it. For the devotees willing to put the time in, I guess that's not an issue. But for someone just wanting a good story where FF and Disney characters overcome evil together, it seems like a bit too much. Though, it should be noted that I'm a hypocrite. If it gets a Switch release, I'll undoubtedly buy it. KH3 looks great and I loved the first game. I missed KH2, could I jump right in and pick up where I left off? I hear the story is a little confusing. This was the first time in nearly a year that the PS4 outsold the Switch, and by just a few hundred units. @NintendoFan4Lyf How does the Xbox compare to the PS4 pro for you? i like the exclusives more on PS4 but the direction xbox seems to go for the future does really appeal to me (full backward compatibility, the acquisitions of the studios implies they are working on the exclusives also). @beazlen1 - That response would be lovely as a consumer, but... how does a few hundred topple the constant outpacing of the PS4 launch-to-date every week until now? I cannot think Nintendo going into such a panic for KH3 being a thing that exists now. But more on th topic; 300k for a Wii U port in Kapan shows how responsive NDMB is to this day. Many diehard fans aren't entirely too keen on the series now, but I'd be lying if I said the game wasn't big enough for the first quarter. @Paraka yeah PS4 had to great releases and only topped the Switch by two hundred. At this point i do see PS4 doing big numbers amy more in Japan, but KH3. And Remake 2 are both amazing. @Muddy_4_Ever I do get your meaning, but I think people work it up more than it really is. They've got like, 5 - 4 minute videos available on the main menu summing up all the relevant story points so far in nice little packets. They're on YouTube too. Anyways, that's mostly for just if you feel like seeing what's going to actually be relevant in KH3. Good week for Playstation all around. @NintendoFan4Lyf I downloaded a copy for Xbox One X since it’s the more powerful console and I share my digital purchases with my son so any game I buy digital it’s like getting 2 for 1. I want to play through 1&2 before I dig into 3, it’s been a while. No surprise to see Kingdom Hearts Top, not interested personally but by all accounts it’s very good. On the surface them PS4 hardware sales are disappointing but Sony are at the ‘coining it in from software sales’ phase of the PS4s life now so I doubt they’re bothered. Can’t see them doing a Direct this week with their Quarterly warnings release coming tomorrow. @Paraka yes agreed, I wasn’t being serious. Just want them to hurry up the next direct! For the love of Mario hurry up Ninty! @Drussa I guess the best I can say is that I like both systems equally for different reasons. The backwards compatibility on the Xbox One X has been a huge deal for me. I have the Xbox 360, but it really got ignored because most games on Xbox 360 also became available on PC. When I got Gears of War 4 for Christmas in 2017, it had working codes for GOW 1 - 3 via backwards compatibility. I had the terrible PC version of GOW1, but never went for the other games, so it opened up the whole franchise to me in one place. Also, GOW 2 and 3 are both X Enhanced - adding an extra level of clarity on my 1080p TV. I also experienced the original Red Dead Redemption for the first time - another X Enhanced 360 title. The Xbox One X also forced 16x antiostropic filtering on all titles, so there is always a boost in angled texture clarity no matter the game. I also prefer the X for most modern multi-platform titles because the X enhancements are the absolute best balance of visual quality and performance over the PS4 Pro. Also, the Xbox One supports Atmos - which provides the absolute best positional audio performance (even without height speakers installed) and audio clarity. It really helps in titles that support the audio format - Resident Evil 2 does support Atmos so I will get that version sometime soon. There are rare occasions where a Pro patch exists, but no X Enhancement. The one that comes to mind is Metal Gear Solid V. I bought the PS4 version for the 1440p upgrade on Pro, but no boost to Xbox One’s 720p. Sadly, if you don’t get any X enhanced titles (it is getting harder to find non-enhanced titles), the PS4 Pro is the better choice because you still get that PS4 boost over standard Xbox One titles. Still, Sony has some of the best exclusive content (other than Nintendo). Having the Pro means experiencing those games in the best possible way. Xbox, sadly, doesn’t really compete well in that category with a few exceptions. Quantum Break is great, Ori and the Blind Forest is a masterpiece, and Cuphead is devilish-genius. Sunset Overdrive was fun for for a while, but I lost interest. I also have the Master Chief Collection, but Halo just doesn’t grip me like I had hoped and stopped at Halo 3. I am sure there are more Xbox exclusive titles I am missing, but they are games that don’t interest me (Forza, State of Decay, etc.) - even then, they don’t compare to the cinematic experiences of Sony’s machine. Bottom line: I use the Switch for most of my purchases (including multi-platform titles). I use my Xbox One X for X-Enhanced multi-platform games that are NOT available on Switch or for the small amount of exclusive titles. The only reason I am considering KH3 for PS4 Pro over Xbox One X is because I am used to KH being played on a DualShock controller (and to honor it’s heritage as starting on Sony hardware). Nice to see the best game of all time (The Legend of Zelda: Breath of the Wild) still going strong. @misterMike never said it would guarantee good exclusives would start to popup out of nowhere. It does mean that XBoX is aware that they need to step up their game. They’ve had Ace Combat 7, RE2make and KH3 in the last 3 weeks but only just outsold the Switch this week by a tiny number of units. No need to get upset on behalf of your beloved Sony though (as per your Commebts history on here), as I was pointing out they’ve done the hardware part and are now cashing in on software sales. And in under 30 days into 2019 - the PS4 install base has moved 1.1 million copies for the biggest 3rd party in Japan. Own PS4+Switch or missing out every month. Seems like Japan knows this just like the USA. "Fitness Boxing Faces Stock Shortages In Japan After Players Share Weight Loss Stories Online"
@MisterMike "and playstation's market saturation is so high"
Maybe for a home console in the Japanese video game market, but for console in general it has not achieved peak saturation. The 3DS in Japan has sold about 3x the amount of PS4's sold in the country (24 mil. vs. 8 mil). And before you say "100 MILLION" this is just Japanese sales, not worldwide sales. I'm glad people are excited for Kingdom Hearts 3, but as an aspiring writer, the "story" is insulting. I can't remember EVER playing a Square RPG with a worse story, it's seriously at middle school fanfiction level. Kingdom Hearts 1 showed promise with the whole Disney villain legion of doom situation, but now the Disney stuff just feels like unnecessary filler most of the time. It's a shame. The thing is that even though the combat is decent, I'd rather play Bayonetta 2 for some good action game fun. It's shorter, more challenging, more focused, and the story (while admittedly stupid), is better than Kingdom Hearts. Don't get me started on Kingdom Hearts TERRIBLE dialogue and line delivery. This video pretty much sums it up. january was a expensive month for me what with resi 2 and kh 3. No new switch games in jan just an old port but then again Smash was far and away the best game in december. Thankfully its looks like feb could disapoint for ps4/xbox with anthem and jump force beta and demos getting mixed reactions. I could pick up blazeblue on switch or even wait intill march for yoshi, sort of hoping in a way anthem and jump force don't live up i can't afford 2 games every month lol. @Mrtoad In Japan ? Not very likely. That was probably Ps4s last shot ever at outselling the Switch in Japan. 2 massive 3rd party releases and it just manages it by a couple of hundred. Next week it will probably go back to being outsold 3 or 4x by Switch. Well they already got MP4 being delayed 3-5 years out of the way. And they probably didn't hit 20m, but 18m or more should be enough to show Switch isn't Wii U.
I am surprised no ND before the release though. Those results usually have a page w/ release dates tacked on somewhere near the end. If they have a page that says AC summer 2019, FE Fall 2019, people are going to want to know why no Direct? And if there aren't any release dates after Yoshi, well then yeah warnings. Oh well, no ND means I'll watch the results news instead. Not exactly the same, but something might leak out. If Kingdom Hearts 3 wasn't number 1, I would have been shocked. @westman98 It was second place for a while in the Japanese console market. It wasn't until late 2017 that the PS4 outsold the Vita and the Wii U was the Wii U (and the XB1, the XB1). But, you are correct if the Vita was a minor success in Japan, the 3DS was the juggernaut of the entire console market. @itslukec I'm in the same boat as you. Played Kingdom Hearts 1 and missed the second game (or the other games such as Chain of Memories). Think I'm just going to dive into Kingdom Hearts 3 and not worry about trying to understand the story as it looks too good to miss. 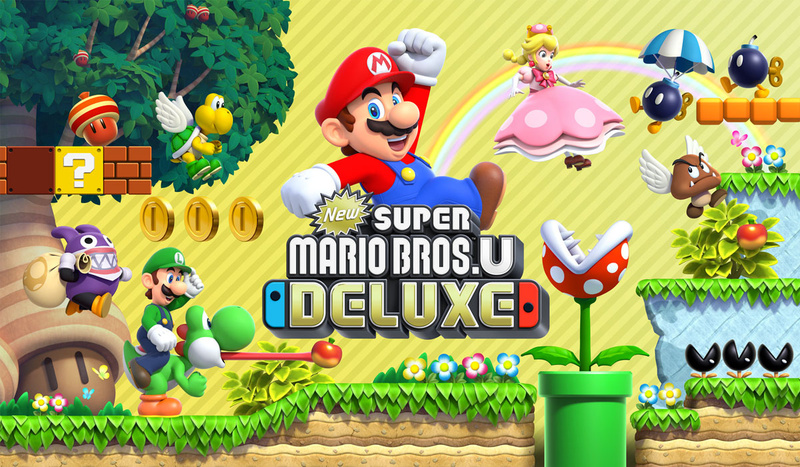 I wonder if New Super Mario Bros U Deluxe will manage to sell over a million. PS4 still had TLOU 2/ Metro Exodus / anthem/ days gone /Granblue RPG / FF7 Remake / Death stranding / Cyberpunk / Code Vein/ ghost of Tsushima and DMC 5 incoming. All Exclusives titles, Not a Port / Indies and Mobile game. I dont think this is the last time ps4 will outsell Nintendo. While Nintendo is still out there trying to draw in a bunch of small children who got their 1st smartphone into their install base. The battle to 3 million copies sold is going to be a close one, but I think Splatoon 2 will take it. Not that it matters too much since Smash Ultimate is crushing Splatoon 2 when launch aligned. @Evilworm With sold more in Japan “the baby game” PLG or RDR2? You can list as many games as you want, hardware wise this is disappointing for Sony. But as I keep saying, they’re at the end of the generation and want to sell software. I’m not even sure what your second paragraph means, but judging by your Comments history that isn’t surprising. I was hopeful there would be one last week, I am hopeful about next week but there was never going to be one in the same week as the earnings release. Especially if it’s good, that’s where they want all the attention. You don’t get to call others dumb when you can’t even see the word ‘Japanese’ in my post. You don’t get to call others dumb when you can’t read. You don’t get to call others dumb when you’re too busy growing a fanboy tantrum over some disappointing sales figures to comprehend very simple sentences. Ah, I see Mr. Troll (AKA Evilworm) is back. Doesn't matter, as he's currently the only one on my Ignore list and will probably get banned within the next 12 months. @AlexSora89 Pfffft yes he did. That world got... out there, and rather dark. Appropriate considering it's source material, but still. The awesome thing was that, "world order" be damned, a black hooded figure with non-toylike supernatural powers was standing right in front of him, and Woody couldn't be bothered to give two $#i7s about it. "Whatever you're talking about, I don't care. Put Buzz back the way he was, then get lost!"